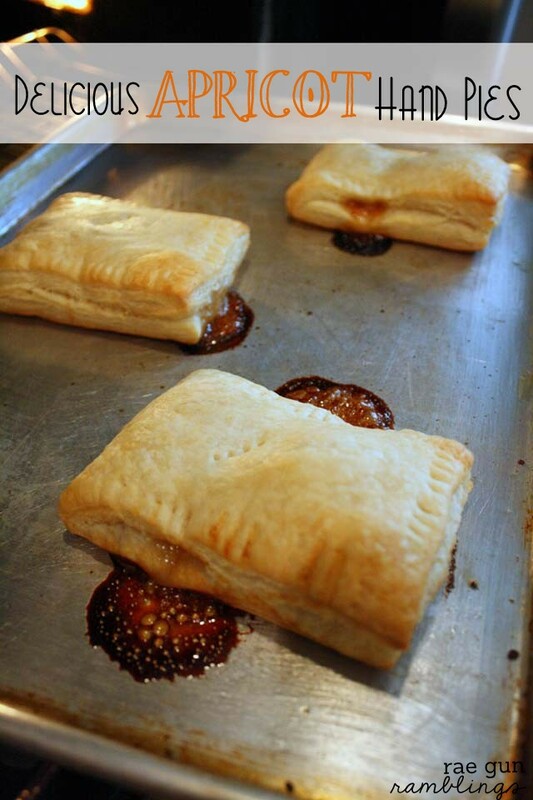 Thaw the puff pastry. And cut into thirds (I just cut down the fold lines). 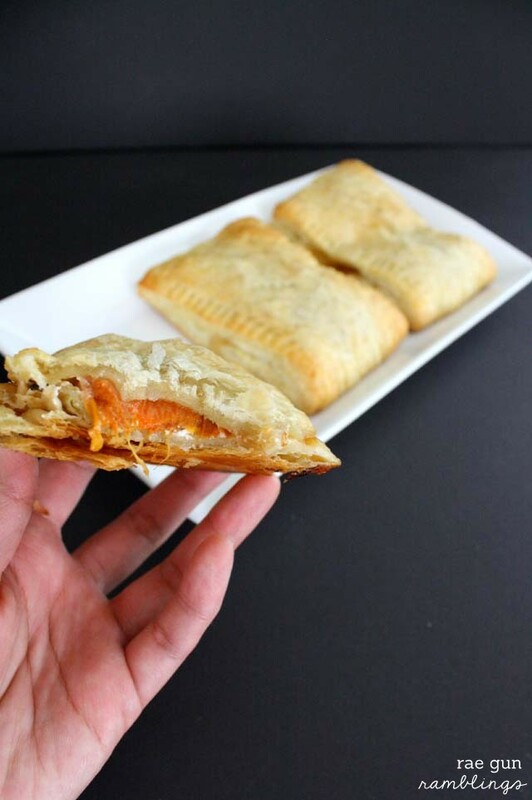 Smear on 2 TBS cream cheese to half of each piece of puff pastry. 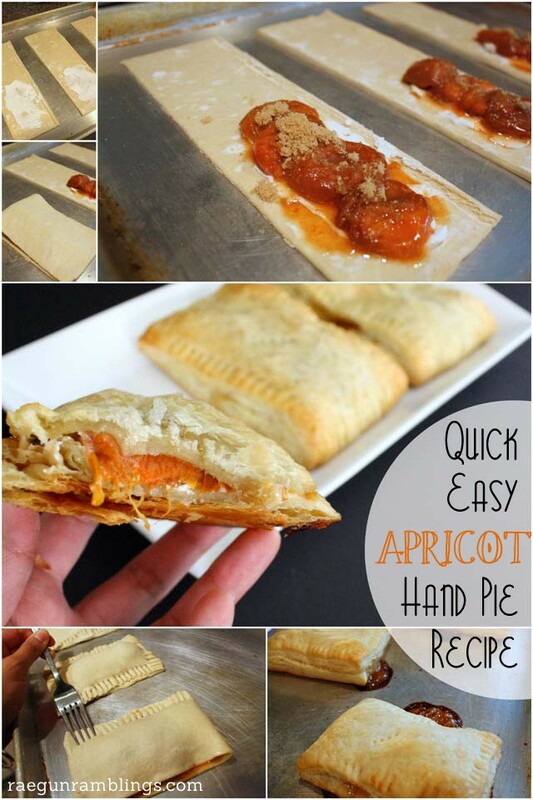 Top with 2 apricots each (so 4 halves). Sprinkle each with 1 tsp brown sugar. Fold over and press closed with the ends of a fork. 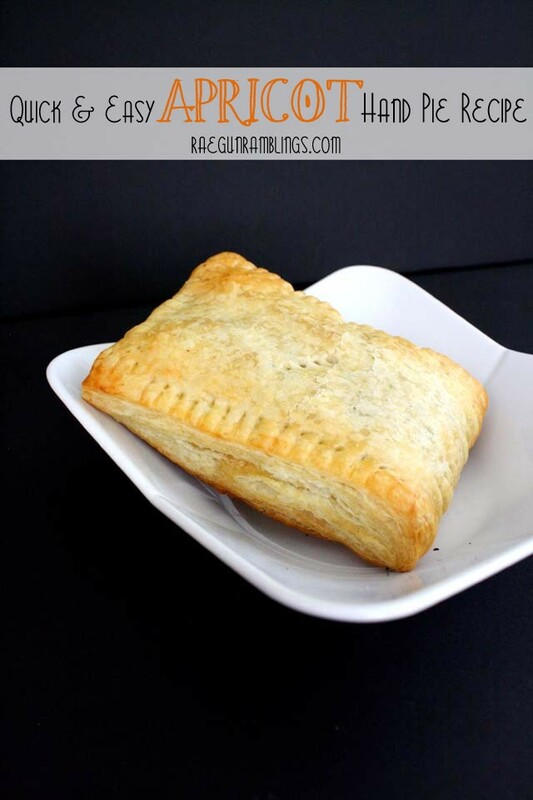 That does looks fun and easy, fast and delicious!